There are a few reasons you should love Pie in the Sky, a bakery in Woods Hole, MA. 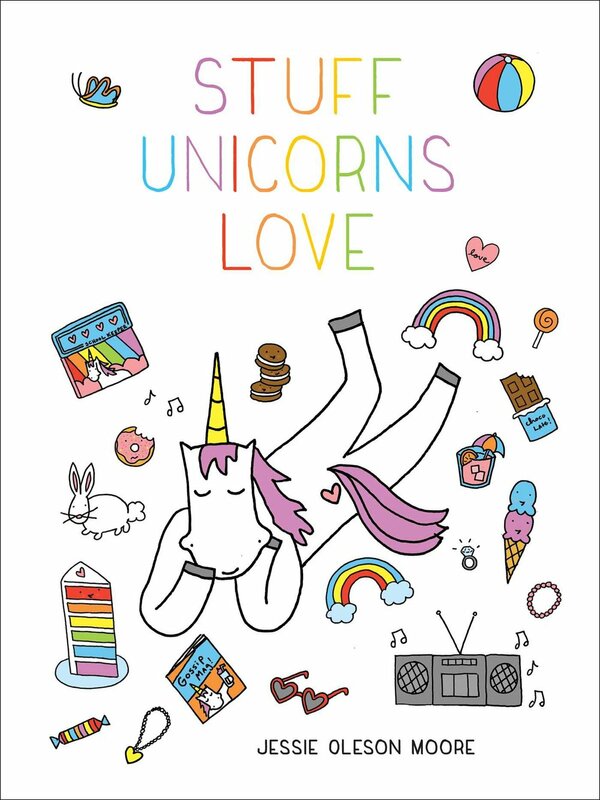 I'll share with you a handful of these reasons, OK? They are conveniently located right next to the ferry to Martha's Vineyard. Everyone knows that baked goods taste better on a boat. Pie, pie, pie! They have plenty of it, but (I will confess) it is some of the other items that excited me more on a recent visit! One of their specialties is Popovers (pictured top). 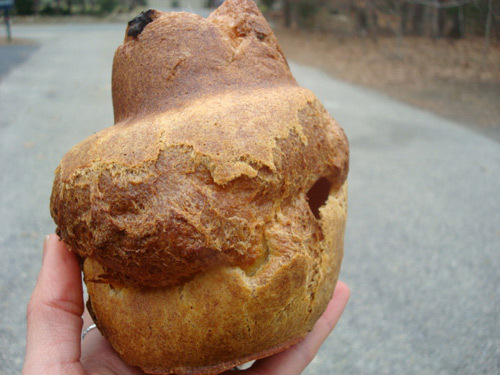 For one thing, not many bakeries offer popovers as a standard item, in my experience, so this is unique. And these ones are delicious: HUGE, but airy inside and delicious when split, liberally slathered with butter and jam, and eaten in furtive little bites til all that carbohydrate is gone, baby, gone. 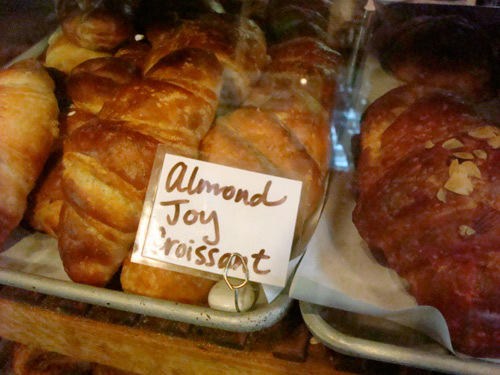 They have Almond Joy Croissants. Almond Joy Croissants! 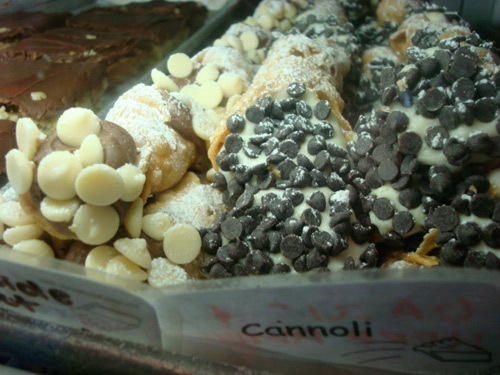 They have cannoli in two varieties: regular, and "inside out" (with chocolate filling and white chocolate chips). One of each, please. 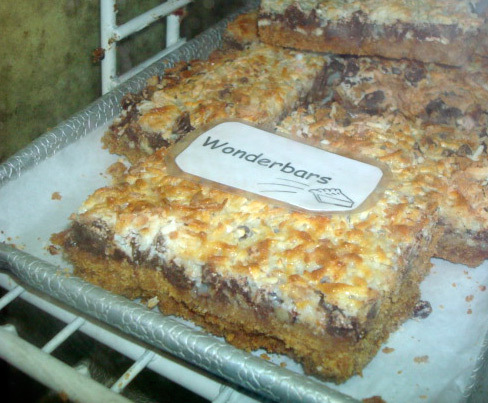 They have their own version of the Magic Cookie Bar--the "Wonderbar". And these ones are big, fat, and delicious. Pie in the Sky, 10 Water Street, Woods Hole, MA. For more information, visit their website here.